Wings From New Colonies: If a new colony has swarmed onto your property, you may be able to actually see the swarm, or you may notice a pile of shed wings that termites have recently dropped after navigating to your home or building. When termite colonies split, a fraction of the termites will grow wings in order to fly the coop and find a new suitable habitat for the new colony. Once there, they drop their wings and begin to build a space to house the king and queen of the colony. So, if you notice these dropped wings, you have a new, unwelcome guest! It’s best to have your property treated right away to ensure that this new, small colony doesn’t turn into an old, large colony. Termite Pellet Piles: Termites produce droppings, just like any other species in the animal kingdom. However, since termites live nearly the entirety of their lives in a series of tunnels, they have no place to store their droppings. So, termites have adapted to create holes where they push out the droppings that they produce. Termite droppings look like small, wood-colored pellets, and they often fall into a neat, little pile beneath the designated dropping hole of a termite colony. If you notice these droppings, you can often locate the hole, and therefore, the colony itself. Dirt Tunnels: Subterranean termites are unique in that they build their colonies mostly underground, and then the build branches of mud tunnels which bracheate off towards their sources of food (i.e. wood throughout your building). If you notice that your home or building has dirt tunnels that reach from the ground to wood in your building, then you have a subterranean termite problem on your hands. Again, it’s best to reach out to an exterminator right away to prevent any further damage that these pests can cause. Hollowed-Out Wood: Over time, termites will slowly hollow out your wood, leaving the surface fairly intact. So, while your wood structures may look perfectly sound, they are in fact hollow and may be dangerous for your home or building. 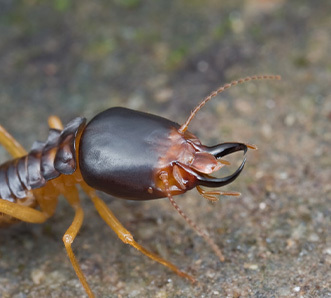 If you suspect that termites are scurrying around in tunnels in the wood of your structure, then tap along its surface — the wood may sound hollow if you have a serious infestation. Act right away, since the structural integrity of your building may be compromised. Wood Discoloration: Wood can also become discolored thanks to a colony of termites. If you have termites that are burrowing around near the surface of wood throughout your space, then this wood may eventually become covered in mold and mildew, which will darken the color of the wood. Visible Wood Damage: If termites have created extensive damage to the wood of your building, the wood may actually begin to crumble and collapse. Be wary of wood that is bending or bowing, and take caution if your floors are sagging. Your home or building may be in desperate need for an extermination and repairs if the damage is this significant. As you may have noticed in this article, termite infestations only worsen over time. While a small colony will slowly chip away at the wood in your home, that colony will only grow in number, and with more mouths to feed, a large colony can begin to devour wood. When your home or building is filled with termites numbering in the thousands, you could be facing costly damages to the structure of your home. In addition, your only option for an extermination may be to fumigate the premises, which is an inconvenience to all of its residents, and a rather costly affair. Instead, you should opt to have your property inspected. If termite colonies are caught early enough, localized termite treatments may be a viable solution to eliminate the smaller colonies. Thus, you can prevent costly damage with a quick phone call to a termite inspector. 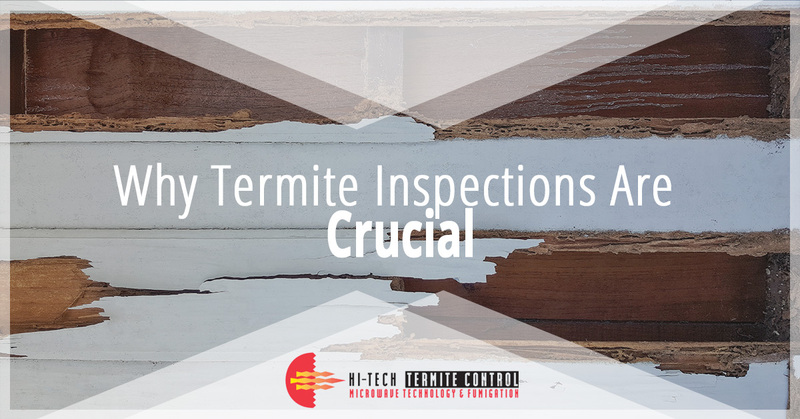 On top of regular inspections, we recommend that you take precautionary measures to reduce the likelihood that termites ever call your property their own. We can inspect your property and propose a plan to minimize the likelihood of an infestation. For instance, we can inject the soil around your property with a lasting, penetrating treatment that will ward off any subterranean termites that are looking for a new home. If you’re in charge of a rental property, then the rent income that you earn is the lifeblood of your business. As such, a termite infestation can prove to be disastrous for your bottom line. If your property endures an infestation, you may have to pay for a treatment, you may have to pay for your tenants to be housed elsewhere during that treatment, and you may have to pay for structural damage that has occurred, thanks to these nasty pests. In addition, you may gain a bad reputation as a rental agency if your property has endured a large infestation. Instead, you can be proactive and wisely schedule regular inspections to keep your property termite-free and to keep your tenants happy. Here at Hi-Tech Termite Control, we offer free termite inspections for most properties. We’d be happy to come and take a look at your property, where we’ll let you know about any colonies that we uncover, we’ll plan a treatment to deal with these colonies, and we can provide you with termite control solutions that will help you to keep your property free from termites in the future. If you have any questions, or if you’re ready to get started, then give us a call! We’d be happy to help!